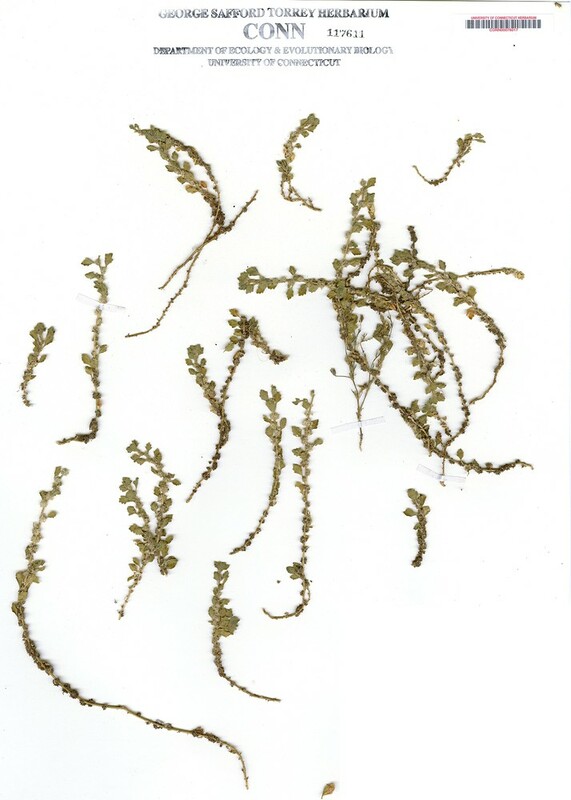 Crested glandular-goosefoot is an extremely rare visitor to North America from Australia, having been recorded from the waste areas of nineteenth-century wool carding factories in Massachusetts and South Carolina. 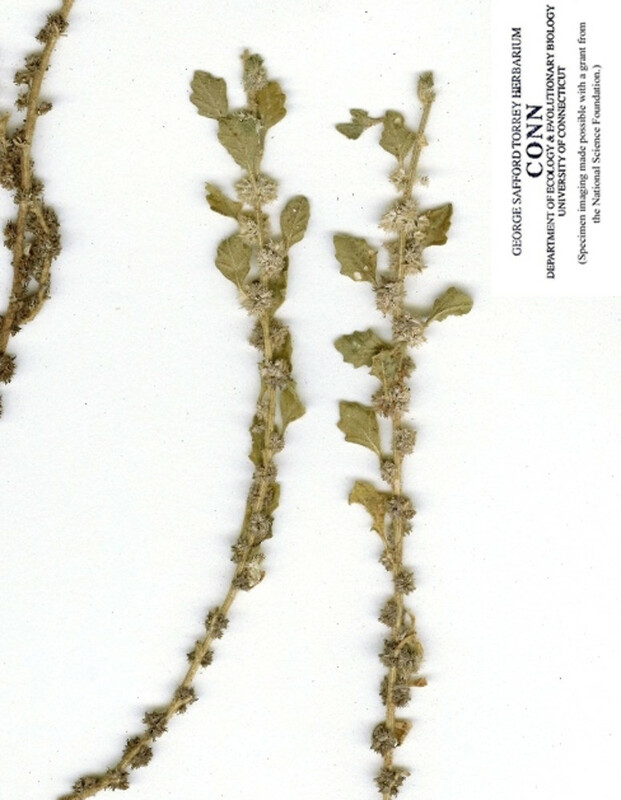 sepals lacking a keel on the abaxial surface and glomerules of flowers 1.2–3.5 mm wide (vs. D. cristata, with sepals with a fimbriate keel on the abaxial surface and glomerules of flowers 4–6 mm wide). 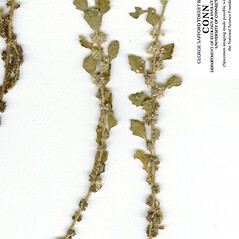 Chenopodium cristatum (F. Muell.) F. Muell. crested glandular-goosefoot. 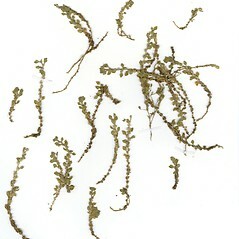 Blitum cristatum F. Muell. ; Chenopodium cristatum (F. Muell.) F. Muell. • MA. Wool waste.